As of 1 January 2009, the position of nominee no longer exists. The new position of approved manager partly replaces the nominee, but has distinct and different obligations. All licensed premises are now required to have an individual licensee or approved manager present or reasonably available during ordinary trading hours of 10am-12midnight and approved extended trading hours between 7am and 10am. The time reasonably needed for the licensee, permittee or approved manager to travel from any place at which the licensee, permittee or approved manager may be present to the premises is not more than one hour or, if the chief executive has decided to extend the period of time for a particular licensee, permittee or approved manager, the extended period of time. During approved extended trading hours between 12midnight-5am an individual licensee or approved manager must be present at the licensed premises at all times. For periods of both ordinary and extended hours trading, only one approved manager needs to be signed-in to the approved managers register for each licensed premises. During ordinary trading hours, only the chief executive will allow some variation in the requirement for an approved manager to be rostered on at a premises. The requirement for a licensee or approved manager to be reasonably available is not changed. The chief executive reserves the right to withdraw this exemption in response to any breaches of the Act committed by a licensee. Subject to the foregoing, all other licensees must have an approved manager available for the majority of their ordinary trading hours. The chief executive may consider an application from any licensee or permittee for an exemption from the requirement to have an approved manager rostered on for work at the premises during ordinary trading hours. The application will only be considered if the business employs ten full-time (or equivalent) employees or less who are involved in the sale or supply of liquor. For example, accommodation cleaning staff would not count towards the employee count, but glass collectors would. In all circumstances, these premises would still be required to have an individual licensee or approved manager who is reasonably available even if not rostered on in the managers register. Approved managers not required to be rostered on at a premises will not need to fulfil the sign-on and sign-off requirements under the Act. However, approved managers who fulfil the reasonably available requirement should be listed in the register as the approved manager on duty. An exemption may be granted for all or part of the ordinary trading hours for licensed premises. In the case of commercial special facility licences, an approved manager must be present or reasonably available between 10am and 12midnight for each discrete ‘outlet’ within the licensed area. Where an ‘outlet’ is trading between midnight and 10am, the approved manager must be present at the ‘outlet’. This applies regardless of whether all the outlets are managed by the licensee or whether the outlets are subleased to other persons. In the case of commercial hotel licences, the requirement to have an approved manager present, only applies to the main premises and not to any detached bottle shops or bottle shops which may be attached to the premises. This applies in the situation where a bottle shop may be open for trade prior to the commencement of trading in the main premises. The bottle shop should have a register which shows the responsible approved manager for all times it is open. In the case of commercial other (producer/wholesaler) licences, an approved manager is only required at the main licensed premises, not the storage facility. The Act specifies that licensees must make “reasonable steps” towards having approved managers available during ordinary trading hours or present during extended trading hours. 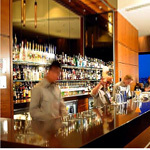 Therefore, licensees will need to have an approved manager present or reasonably available at the premises during all trading hours to supervise the responsible service of alcohol and the management of the premises. The Act requires that a licensee must keep on the premises a register stating the name, date of duty and shift starting time and finishing time for each approved manager rostered on duty. The register must be accompanied by copies of the current training course certificates held by any approved managers rostered on duty for the premises. Copies of the course certificates must be made available for inspection to an investigator at the premises. For each shift for which an approved manager is rostered on, the register must be signed by the approved manager and record the date, start and finish times for each shift. At any time, the previous 12 month record of the register should be available. There is no prescribed form under the legislation for an approved manager’s register. However, to assist all licensees, the Office of Liquor and Gaming Regulation has developed the attached template as part of this guideline and for use by licensees as required. It should be noted that while the template may be used by the licensee to meet their obligations under section 155AE of the Act, this register is merely a guide and a licensee may incorporate their own design providing it meets the minimum requirements as outlined in section 155AE (1)(a) of the Act. The Act allows that an individual licensee may apply to the chief executive for an exemption from the obligation to be present or reasonably available or to take ‘reasonable steps’ to ensure that an approved manager is present or reasonably available. The application may only be made where the licensee wishes to be absent for a continuous period of not longer than three months. The exemption may only be granted when the licensee can demonstrate they have made reasonable efforts to engage one or more approved managers for duty at the licensed premises and been unsuccessful. The chief executive must be satisfied that the premises will continue to be operated in accordance with the Act, including the risk-assessed management plan for the premises, during the licensee’s absence. For example, a licensee in a remote or rural location regularly travels to a nearby town for business reasons during the premises trading hours. No approved manager is able to be present, but in an application to the chief executive the licensee nominates a person trained in the responsible service of alcohol to be the person in control of the premises during the licensee’s absence. An individual licensee, with low-risk premises and with no compliance issues, may apply for an ongoing exemption from the approved manager requirement for periods of absence such as annual leave.